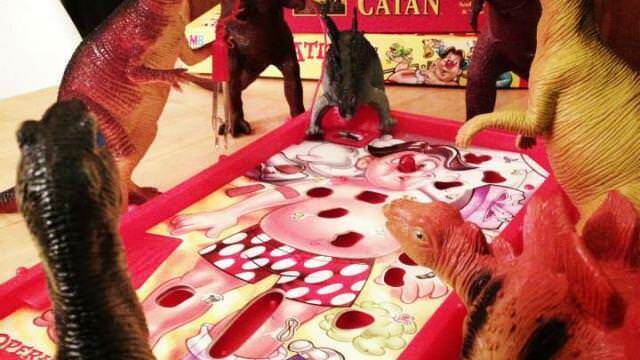 Refe Tuma (PeekYou profile here), a Missouri based writer, and his wife have been bringing daily wonder to their children — as well as many of us online — this month with a fairly magical little project they’ve appropriately dubbed Dinovember. Cris Koo (PeekYou profile here) loves Beyoncé, and he loves to dance. And the Internet is falling in love with him for at least these two reasons. From Yahoo News we’ve learned of a fellow named Harry Sperl. Harry’s deal, you see, is that he’s really, really into hamburgers. Sisters Rachael and Eliza Hurwitz are a musician/composer and comedy writer/performer, respectively, and collectively they are a musical comedy duo. Minnesota’s Jim Buck recently committed an extraordinary act of bravery when he happened upon a traffic accident and, without thought, risked his own life to pull a young woman from a burning van.